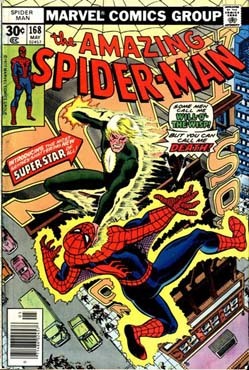 We’re pleased to tell you that Spidey’s greatest foe, Will O’ The Wisp, is the feature star of Amazing Spider-Man 168! Or, we’re bummed to tell you that. Or something. We are super conflicted! You should definitely listen. Or not. We don’t care. We do care. This is a bit. We do bits. We also digress a lot. Come listen!